When making French fries, the potatoes should not be fried after blanching. 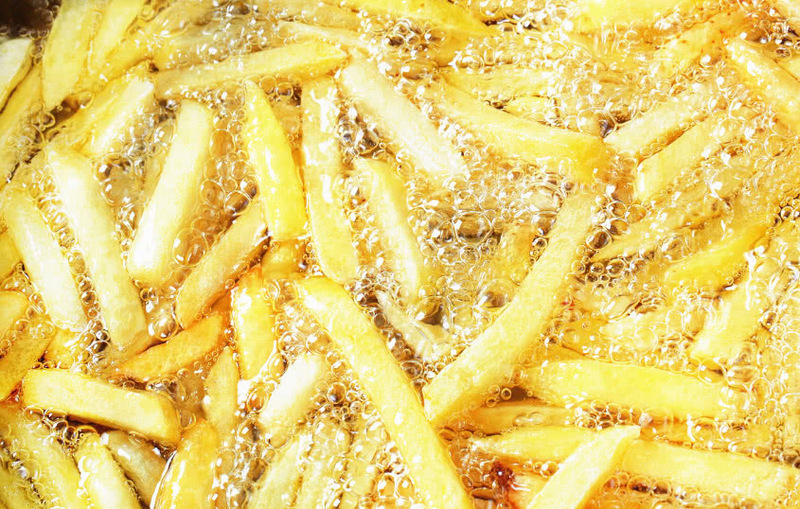 Without this step, it is no wonder that the French fries are neither fragrant nor crispy. Recently, many people asked Master Hu that all the children in the family have gone home for the New Year. They want to make some favorite snacks for their children, especially French fries. Every time they make French fries, they are neither crispy nor fragrant. The children don’t like to eat them. I hope I can help myself. Hearing that everyone has such needs, I immediately found Chef Jia who went home for the New Year. He has made French fries, small potatoes, popcorn, squid and so on for many years. Today Chef Jia will teach everyone the authentic method of French fries. 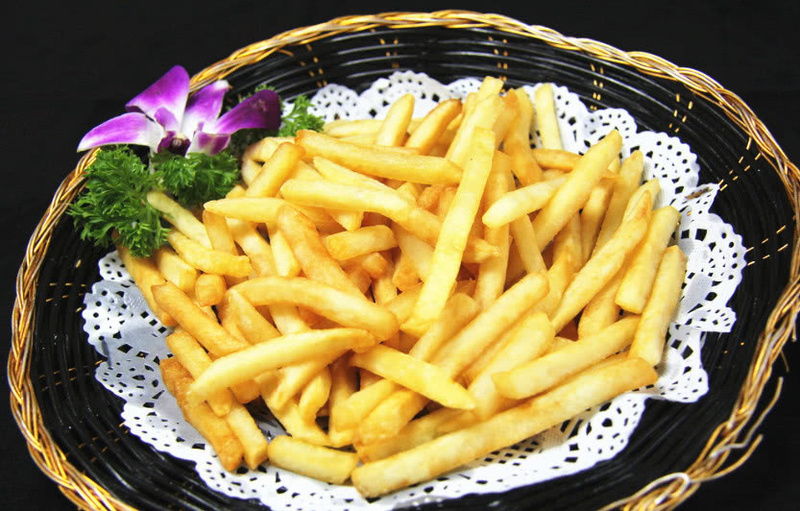 Chef Jia said: When making French fries, potatoes are fried after they are not scalded! Without this step, it is no wonder that the French fries are neither fragrant nor crispy. As long as you look at Chef Jia’s method again, I believe everyone can make the French fries fragrant and crispy. Food preparation: 500g potato, 30g potato starch, 400ml peanut oil and 50g tomato sauce. 1. Wash the potatoes first, then remove the eyes on the surface of the potatoes, then wash the potatoes and cut them into strips 1 cm wide and 5 cm long, finally soak the potatoes in clear water, wash them twice, and drain the water for later use. 2. Boil a pot of hot water, then add potatoes, boil over high heat for 1 minute, cook the potatoes until they are 8% ripe, then take them out. After passing through ice water, drain the water, wrap the potatoes with appropriate amount of starch, and then freeze the potatoes in the refrigerator for 5 hours. 3. Heat the pan, add peanut oil, the oil temperature is 70% hot ( 210 degrees Celsius ), add frozen potatoes, fry over medium heat for 2 minutes, then the pan can be started, drain the oil, then the pan can be loaded. 4. The prepared potato chips can be eaten with ketchup. If you like cumin, you can put the potato chips in a pan, sprinkle a proper amount of cumin powder and stir well before eating. 1. When making French fries, we should choose the old potato, because the tender potato has more moisture, no matter how deep – fried, it won’t be very crisp and fragrant, only the old potato can be used. 2. When French fries are made, potatoes cannot be fried after being blanched. We must freeze the blanched potatoes for 5 hours and then fry them in a frying pan. Because frozen potatoes, after being put in the frying pan, can quickly absorb heat due to low temperature, so that the water in the potatoes can quickly drain away, and the potatoes are crisper and more fragrant to eat. This step must not be less. Without this step, the potatoes will definitely not be crisp to eat. 3. When frying potatoes, the whole process needs to be fried with fire. The fire can quickly evaporate the water in the potatoes and make the potatoes crisp. When frying potatoes with fire, the potatoes absorb less oil and will not be too greasy to eat. When making potato chips, do not blanch the potatoes and fry them! Without this step, it is no wonder that French fries are not fragrant and crispy. After watching, everyone knows that potatoes need to be frozen before they can be fried after blanching, and the frozen fried chips are the crispest and most delicious. This is the way to teach you French fries today. French fries fried in this way are not only delicious and crisp, but also won’t go out for 2.3 days. Fried sweet potatoes, taro and other ingredients can be made fragrant and crisp with this method. The wealth gap does not come from money deposits.